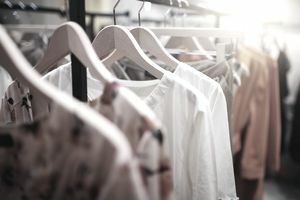 The apparel sector of the U.S. retail industry consists of companies that specialize in the sale of clothing in either brick-and-mortar retail stores, via e-commerce, or by direct response. Most of the largest apparel companies in the U.S. are not privately owned. Each that is publicly traded has its own unique stock exchange symbol which allows investors, and others, to easily track the value of shares and other information. Consumer spending in the apparel sector of the retail industry began declining in the third quarter of 2008. While apparel spending showed some signs of recovery in 2010, the 2009 same-store sales figures revealed that consumers had traded down in price points, a trend that is generally anticipated whenever unemployment is high and discretionary spending is low. Apparel sales reversed and climbed in small increments in 2013, 2014 and 2015. The Bureau of Labor Statistics, which releases consumer spending reports, reported an 11.3 percent increase in sales in this sector from 2013 to 2014, and an additional 3.4 percent increase through 2015. Although these figures include other expenditures, there's still a clear upward trend. According to industry tracker the NPD group, changing consumer needs and an evolving retail marketplace were the drivers behind the U.S. apparel industry's upward trend through 2016 with women's, men's, and children's apparel sales increasing by 3 percent, reaching $218.7 billion. There is an expected continuation of the apparel industry's upward trend. Companies that are publicly traded on the U.S. Stock Exchange issue securities, or shares, to investors in an initial public offering or IPO. These companies must answer (and report to) their shareholders. Reporting requirements are set by the U.S. Securities and Exchange Commission and they mandate a certain transparency. Annual 10-K reports and financial statements are available to the public. Based on the unpredictable up and down swings that the apparel sector is subject to, it's important to keep a watchful eye on any company you invest in. This list of publicly-traded apparel companies in the U.S. retail industry includes their stock symbols for easy research. It's arranged alphabetically for easy reference. It is not all-inclusive and is subject to change, although not without a bit of press attention and fanfare. These companies can elect to go private again by effectively buying back all stock but in most cases that would be a mammoth undertaking and would not go unnoticed.